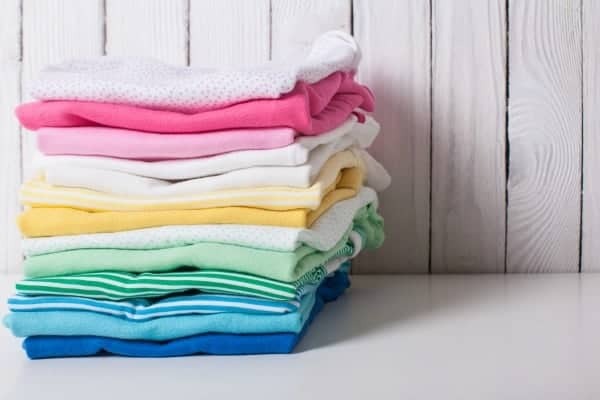 A good routine can make all the difference when you’re learning how to organize your home. That’s what we hear all the time, but how in the world are we supposed to figure out what routines will work for us? You’ve probably tried out a few routines here and there. Some of them stick, and some of them don’t. Too many steps. No one has time for that. Too difficult. Or too awful. When you think of having to do the same routine for the rest of your life and you’re filled with dread, it’s not going to stick. Especially if it’s something you don’t HAVE to do. Not totally needed. Maybe you’ve set up an aspirational routine. You want to make fresh bread every single Monday. That’s great, but it’s a lot of work, and it’s much easier to just buy bread at the store. They have “triggers” that remind you to complete them. For example, every time go grocery shopping, you pop in to the library afterwards to return books and check out new ones. They make your life easier and/or better. You’re able to stick with them long enough to make them automatic. And then, they’re so easy that you don’t even have to think about them! 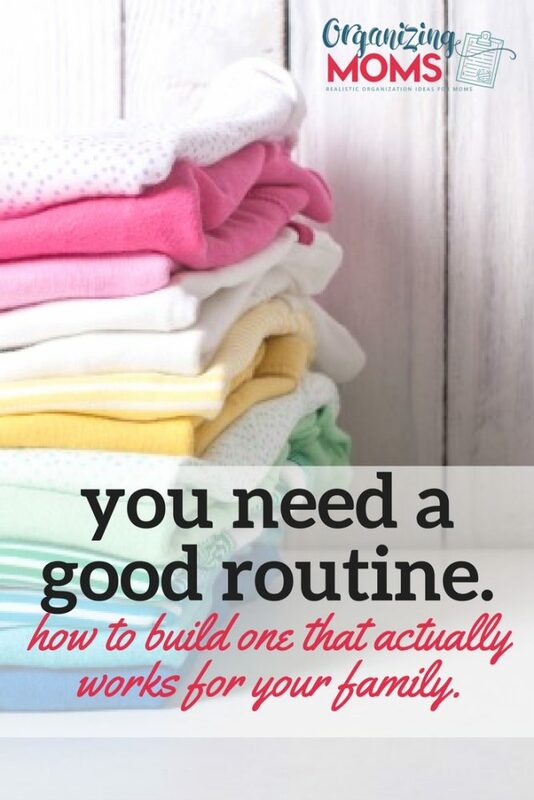 You’ve probably stumbled on to this page because you NEED a routine for something. Maybe it’s a bedtime routine for your kids. 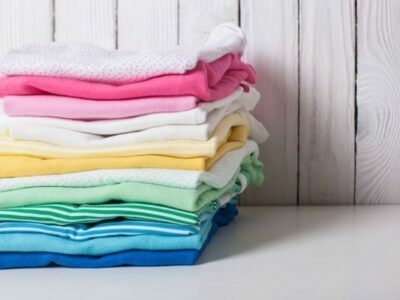 Maybe it’s a laundry routine. Whatever it is, you’ve identified a problem, and you are looking for a routine to solve it. If you really want to solve the problem you have with a routine, you’re probably going to have to try a bunch of different ideas. If you stumble on something great at first, that’s wonderful. But realistically, you will probably have to do some tweaking to a routine to make it a really GOOD one that you and your family will want to stick to. It’s worth the time it takes to work out the kinks! Make a list of EVERYTHING you’d like to do as part of the routine. After you have your everything list, estimate how much time each task on the list will take. Eliminate non-essential tasks from the list. Be brutal in this one. You can always add in the extras later if you feel you need them. Start testing your routine. Stick with it for a few days, and make changes as you work through it. Once you have a workable routine down, stick with it for at least 21 days. They say that’s how long it takes to make a routine a habit that you don’t have to think about. Allow yourself the flexibility to change. If something’s not working, don’t throw in the towel. Brainstorm ways to make the routine work better for you. You may have a good routine going, but still feel like there’s something missing. Maybe there’s a tweak you could make to make everything WAY easier. How do you figure out what will work for you? Talk to other people in your situation. I’ve gotten great ideas just by talking to moms in the pickup line at school. Neighbors, parents at the playground, and people at church are all great sources of intel! Join the Organizing Moms Community on Facebook. Once you’re in, ask the group for ideas! The group is a great way to get ideas from other moms who might have a totally different perspective. 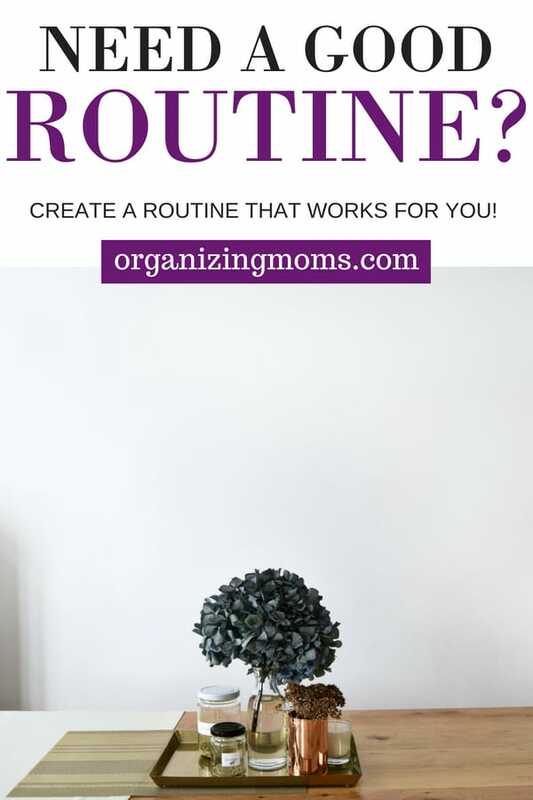 Check out the ideas about Routines and Habits on Organizing Moms. I’ll leave a list of links below. With some planning, tweaking, and flexibility, you can create a good routine that works for you and your family! 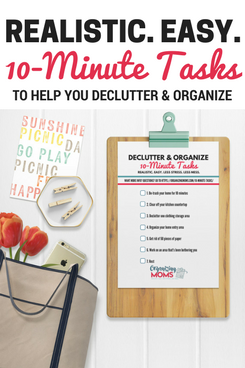 New to Organizing Moms? Start here, friend!